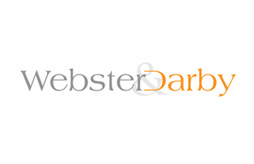 At Webster & Darby we have always made a special effort to make sure the service we provide is of the highest level. This being said we have been highly successful over the last few years and this shows in the feedback we have received and awards we have been put forward for. Last year, Webster & Darby were nominated as a finalist for the ‘Best New Business’ in the Merton Business Awards. We have been nominated again this year so we are keeping our fingers crossed that we will go one better and come out on top! Our proudest award to date is ‘The Negotiator – Best New Business’ award that we were not only nominated for but went on to win outright! It was a fantastic day and we were competing against estate agents situated all over the country. We were absolutely thrilled to come out on top and be presented with the award by Hugh Dennis. We are sure that there will be more to come, so we will keep you updated!